SANTA CLARA, Calif. – March 6, 2018 – Acalvio™ Technologies, an innovator in Advanced Threat Defense, today announced that Head of Marketing Rick Moy will be leading a panel discussion at SINET ITSEF 18 on March 7 in Mountain View, California. The panel session, “Next-generation deception: A nice-to-have or must-have,” will address opportunities and challenges involved in enterprise-wide deception solutions with executives from global leaders including Broadcom, Motorola Mobility, Badkode Ventures and Cavium. This featured discussion begins at 2:15 p.m. (PT) in the Grand Hall. SINET accelerates Cybersecurity innovation into the global marketplace by providing trusted platforms for the business of Cyber to take place between investors, entrepreneurs, large corporations and industry and government buyers within the ecosystem of the entrepreneur; academia, science, private industry, investment banking, system integration, policy, innovators, venture capital and the Federal Government to include the civilian, military and intelligence agencies. According to a recent press release, analyst firm Gartner ranked deception technology the third top technology for security in 2017. Acalvio provides autonomous deception solutions to detect, engage and respond to malicious activity inside the perimeter. The solutions are anchored on patented innovations in Deception and Data Science. This enables a DevOps approach to deploying enterprise-scale pervasive deception, with zero-admin. Acalvio enriches its threat intelligence by data obtained from internal and partner eco-systems, enabling customers to benefit from defense in depth; reduce false positives; and derive actionable intelligence for remediation. The Silicon Valley based company is led by an experienced team with a track record of innovation and market leadership and backed by marquee investors. For more information, please visit www.acalvio.com. Acalvio provides Advanced Threat Defense solutions to detect, engage and respond to malicious activity inside the perimeter. The solutions are anchored on patented innovations in Deception and Data Science. This enables a DevOps approach to deploying enterprise-scale pervasive deception, with low IT administrative overhead. 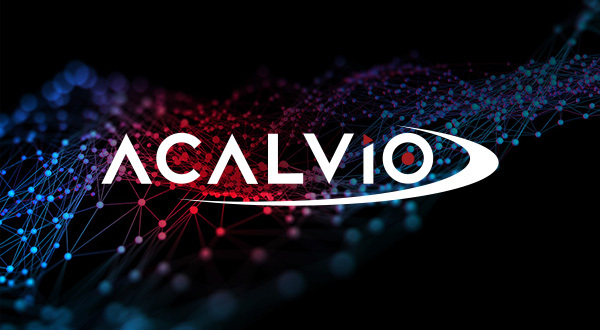 Acalvio delivers comprehensive threat intelligence by integrating with other ‘best in class’ solutions in the security industry, enabling customers to benefit from defense in depth; reduce false positives; and derive actionable intelligence for remediation. The Silicon Valley based company is led by an experienced team with a track record of innovation and market leadership and backed by marquee investors. For more information, please visit www.acalvio.com.